Current newsworthy events that occur within Vandeveer Garzia. Vandeveer Garzia is pleased to announce the hiring of five Associate Attorneys. RuShondra G. Jones graduated from Thomas M. Cooley Law School and was admitted to practice law in the State of Michigan in 2005. Michelle L. R. Everett also graduated from Thomas M. Cooley Law School and has been licensed to practice in Michigan since 2013. Scott K. McCormick is a graduate of The Ohio State University Moritz College of Law and was admitted to practice in the State of Michigan in 2015. Victoria L. Convertino graduated from Michigan State University College of Law and has been licensed to practice in Michigan since 2017. Timothy T. Garmo also graduated from Michigan State University College of Law and was admitted to the State bar of Michigan in 2017. Matt Chapin successfully defended a negligence, nuisance, and silent fraud claim by obtaining a summary disposition on all three counts from Judge Matthew Stewart in Shiawassee County Circuit Court. Our clients leased a home to Plaintiffs, and Plaintiffs’ alleged that their minor child ingested lead from the paint in the home, which caused the child to suffer from various neurological and cognitive disorders. Plaintiffs were seeking millions of dollars in damages. Throughout discovery, we were able to establish that our clients complied with all requirements pursuant to The Residential Lead-Based Paint Hazard Reduction Act of 1992. We were also able to establish that our client had no knowledge or notice of lead being in the home, and Plaintiffs failed to show that there was a defective condition in the home. We argued that Plaintiffs did not present any evidence to establish that our clients’ conduct fell below the applicable standard of care. The court agreed with our arguments and dismissed Plaintiffs’ case in its entirety. Anthony McEachern and Ashley Slaght obtained a no cause of action in a jury trial seeking automobile negligence damages. The case was tried before Washtenaw Circuit Court Judge David S. Swartz. The matter involved a single car accident involving a husband and wife. The husband struck a tree in an effort to avoid hitting deer crossing the road. The wife then sued her husband alleging injury to her left knee, neck, and back as well as a closed head injury as a result of the accident. Prior to trial, the Defendant admitted negligence. At trial, the wife maintained that she was no longer able to enjoy walks at the park, gardening, or hosting family and social events. The daughter also testified as to her mother’s inability to do basic tasks and the effect her injury has had as the matriarch of the family. Ashely Slaght’s opening statement provided the jury with a finely crafted narrative of the curious nature of the lawsuit where one spouse was suing the other with respect to a motor vehicle accident. Ashley cross-examination of the plaintiff’s daughter providing further evidence to the jury that plaintiff’s damage claim was questionable. The first witness called by the defense was a private investigator. A surveillance video was played to the jury which further supported our position. The surveillance video taken less than a week prior to trial showed performing tasks that she testified she could no longer do such as driving, bending, and twisting. Over the course of the three day trial, attorneys McEachern and Slaght highlighted for the jury evidence that undercut the plaintiff’s claims. The jury deliberated for a short period of time before finding Plaintiff was not injured in the accident. Vandeveer Garzia welcomed retired attorney Lee Estes to the firm for a discussion which focused on jury selection as well as lessons learned from trials both won and lost over the course of a career which included over 50 trials to verdict. Mr. Estes captivated the crowd with stories which clearly show the importance of staying focused and thinking through the unexpected issues that can and do arise during trial. Vandeveer Garzia is committed to training and educating its attorneys to become and remain top echelon trial attorneys. 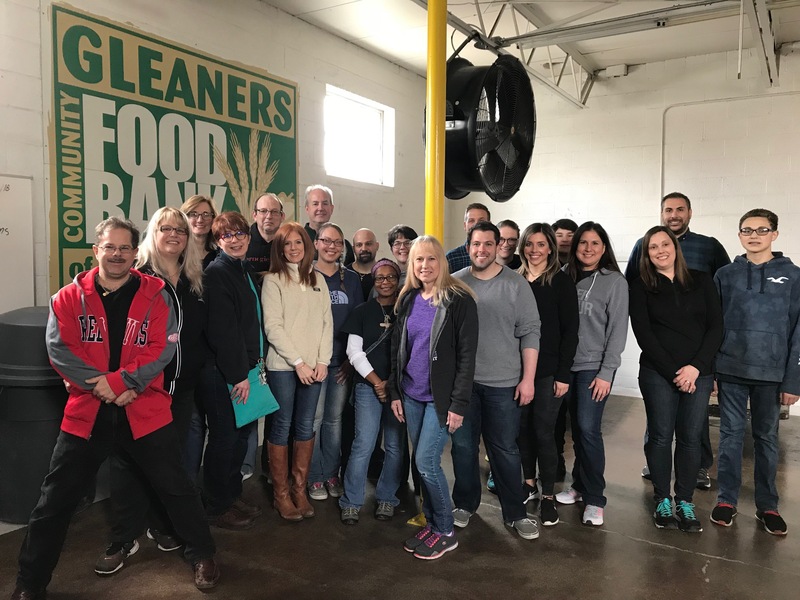 On Saturday, February 23, a group of Vandeveer Garzia employees and their families and friends once again volunteered at Gleaners Community Food Bank. The group sorted over 4,700 pounds of donated food that will help feed over 3,800 people in the community. The group also donated money to purchase 92 gallons of milk. Vandeveer Garzia thanks these employees and their families and friends for giving up a Saturday morning to make a difference in helping those in need. Shield Global Partners v Allstate Insurance Company, et al. Donald Brownell and Sajid Islam successfully obtained summary disposition of Plaintiff’s claims against their client, Allstate Insurance Company, in a lawsuit in which Plaintiff sought a declaration from the circuit court that it was entitled to diminished value damages under the mini-tort provision of the Michigan No-Fault Act and that insurance companies were obligated to pay diminished value damages. Plaintiff sued Allstate Insurance Company and several other insurance companies alleging that it had been assigned the right from GM Financial to pursue diminished value damages for vehicles that GM had previously leased and which were involved in accidents that diminished their value despite proper repairs. Plaintiff argued that it could seek such damages directly from the insurance companies. Sajid drafted a Joint Motion for Summary Disposition on behalf of the Defendant insurance companies, with input from Counsel for the other Defendant insurance companies, and Donald Brownell argued the Joint Motion. Specifically, it was argued that Plaintiff failed to present a case of actual controversy and that the court lacked subject matter jurisdiction to declare the rights of the parties. Further, Defendants argued that the necessary parties, the actual tortfeasors, were not parties to the matter, Plaintiff’s claim was entirely hypothetical in nature, and that mini-tort actions must be brought in the district court, as the amount in controversy could never exceed $25,000.00. Additionally, it was argued that a mini-tort claim could never be brought directly against an insurance company. Thus, Defendants argued that the court lacked subject matter jurisdiction. Ultimately, the court agreed with Defendants and entered an order dismissing Plaintiff’s claims without prejudice, noting that it lacked subject matter jurisdiction to enter a declaration in such an abstract case and where the action involved the mini-tort statute, which caps damages below the circuit court’s jurisdictional threshold. Thamara Sordo-Vieira prepared a Motion for Summary Disposition based on a novel argument on behalf of a licensed Adult Foster Care (AFC) home and its unlicensed employee in the Oakland County Circuit Court. The case involved the death of a severely developmentally disabled individual who resided in and received care from the AFC. Plaintiff argued that Defendants failed to take measures to prevent the choking accident that led to its residents’ death. Defendants filed a Motion for Summary Disposition arguing that the case sounded in medical malpractice due to the professional relationship between the parties and the medical judgment involved. Defendants argued that the AFC home is a licensed health facility under the Michigan Public Health Code as it provides special intermediate care to its developmentally-disabled residents with a certification issued by the Michigan Department of Licensing and Regulatory Affairs. In addition, the nature of the relationship between Defendants and Plaintiff was a professional one as the AFC home had been selected through contract and agreement to care for the Decedent. Further, the Individual Plan of Service (IPOS) for the Decedent was created by several health professionals, including a licensed psychologist, a licensed social worker and a psychiatrist. Plaintiff argued that Defendants breached their duty to Plaintiff by leaving a cabinet unlocked, from which Plaintiff’s Decedent presumably and allegedly took the food on which he choked. Defendants maintained that the claims at issue required expert medical testimony to understand the parameters of the restrictions imposed on Plaintiff’s Decedent, the extent of supervision and monitoring he required based on his mental capacity, and why there were limitations in place. Defendants asserted that the questions involved in the case required a certain degree of medical knowledge and/or judgment which the ordinary person does not possess. Based on the arguments and evidence proffered by Defendants, and despite the fact that AFC homes are generally not subject to claims of medical malpractice, Judge Warren waived oral argument and granted Defendants’ Motion for Summary Disposition, holding that Plaintiff’s pleadings were improper and her claims are subject to the damage limitations found in the Michigan Medical Malpractice Act. Samantha Boyd handled this case and before she went on maternity leave she prepared a Motion for Summary Disposition, which was argued by Maxwell Sanders in the Macomb County Circuit Court before Judge Joseph Toia. Defendant’s Motion argued that Plaintiff’s premises liability claim regarding a slip and fall accident in a grocery store was barred by the open and obvious doctrine. Specifically, Defendant argued that the puddle Plaintiff slipped in could have been observed upon casual inspection. To prove this point, Defendant relied upon Plaintiff’s testimony that indicated after she fell, the puddle she allegedly slipped in had left her wet from her face and hair to the entirety of the front of her body. Defendant also relied upon the testimony of the store manager who stated that he observed the puddle upon coming to Plaintiff’s aid. Further, Defendant argued that summary disposition was appropriate because it did not have actual or constructive knowledge of the puddle at the time of the incident. To prove that Defendant did not know, and had no reason to know, that there was a puddle in this location, the depositions of three separate store employees were taken. Defendant relied on this testimony as well as Plaintiff’s own testimony to craft this defense. Ultimately, Judge Toia was persuaded by Defendant’s arguments and granted its Motion for Summary Disposition, holding that Plaintiff had failed to present evidence to establish that Defendant breached its duty. Arooj Anjum and Najla Mackie have joined our firm as Associate Attorneys. Arooj is a graduate of the University of Detroit Mercy School of Law and has been licensed to practice in Michigan since 2017. Najla graduated from Western Michigan University Cooley Law School and has been licensed to practice in Michigan since May 2018. Arooj and Najla specialize in first and third party automobile liability and general negligence matters. Arooj is also fluent in Urdu and Hini. Najla is also fluent in Arabic. Dan Siefer, of-counsel to Vandeveer Garzia, will again be a contributing editor for the “Michigan No-Fault Automobile Cases: Law and Practice” book published by the Institute for Continuing Legal Education, 2019 Edition, to be published in February 2019. The Shareholders of Vandeveer Garzia are pleased to announce the elevation of four associate attorneys to Partnership. The four associates who have been made Partners are: Christine Battle, Jennifer LeGault, Peter O’Toole and Anthony McEachern. Each of these associate attorneys have earned this elevation and the recognition of being a Partner at Vandeveer Garzia. We congratulate Tina, Jenna, Peter, and Tony for this well-deserved achievement. Gomez v Allstate Insurance Company, et al. Sajid Islam obtained a reversal of the trial court’s ruling on a Motion for Summary Disposition and Motion for Reconsideration in an action filed against his client, Allstate Insurance Company. Specifically, the plaintiff’s motion for summary disposition alleged that the plaintiff, a motorcyclist, was entitled to first-party no-fault benefits and uninsured motorist benefits from Allstate as there was no genuine issue of material fact that a motor vehicle was involved in the accident. The trial court granted plaintiff’s motion for summary disposition and denied Allstate’s Motion for Reconsideration on the issues. Sajid prepared an Application for Leave to Appeal the trial court’s decision, arguing that the trial court erred when it held that plaintiff was entitled to uninsured motorist benefits in light of a clear and unambiguous exclusion for such coverage when the injury arises out of the use of a motorcycle. In addition, he argued that there was sufficient evidence to create a genuine issue of material fact as to the involvement of a motor vehicle. On November 27, 2018, the Court of Appeals reversed the trial court’s decision stating that the defendant had presented sufficient evidence to raise a genuine issue of material fact regarding the involvement of a motor vehicle in the accident. Further, the Court found that the clear and unambiguous language of the policy excluded the recovery of uninsured motorist benefits. Attorney Deb Bricely was again deployed as part of the National Disaster Medical Assistance Team to Chico, California in response to the Camp fire. Her Disaster Medical Assistance Team was divided into three health medical task forces and sent to various evacuee shelter locations to provide medical care at the Red Cross shelters. In addition to being an attorney, Deb is also a registered nurse. They were stationed at the base camp to assist responders set up at the Chico airport about forty miles airway. 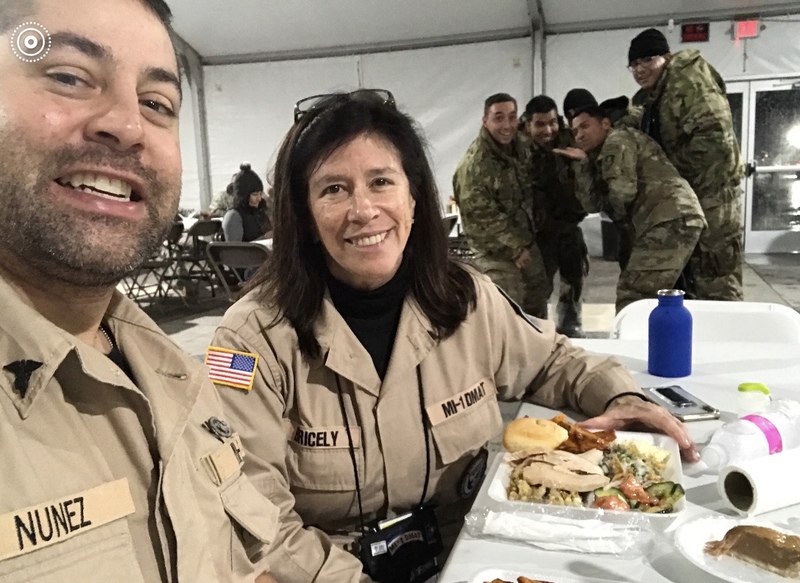 On Thanksgiving, Deb shared a warm meal with other military personnel. April Malak was granted summary disposition in Oakland County Circuit Court on Plaintiff’s claim for damages stemming from an automobile accident. Defendant alleged the accident was minor in nature, occurring while both parties were in line for gas at a gas station. Plaintiff alleged injuries including those to his neck and shoulder, and also alleged dizziness and lack of concentration, that in turn affected his ability to lead his normal life. During the course of discovery, Defendant obtained medical records and conducted surveillance on Plaintiff. Defendant argued the medical records failed to support an objective injury to the extent claimed by Plaintiff. Further, Defendant obtained surveillance of Plaintiff, which showed Plaintiff participating in hours-long bike rides, and doing outdoor chores, in addition to other activities. In turn, Defendant argued Plaintiff has failed to satisfy the “serious impairment” threshold. The Court agreed and dismissed Plaintiff’s claims. Roger Smith and Beth Andrews succeeded in obtaining summary disposition in the Oakland County Circuit Court on claims by the estate of a deceased pedestrian who was struck and killed while crossing a darkened street on a moonless morning more than one hour before dawn. Mrs. Homrich was an exceptionally small 68 year old adult who rose very early each morning for her daily walk. Except for her green shoes and red hat, she was otherwise dressed in very dark, non‑reflective clothing (including black gloves) and carried no flashlight or other item which would have rendered her visible to drivers. Roger represented a defendant driver who was on his way to work. A slight rise in the road and large trash bins placed at the curb apparently obscured the vision of both driver and pedestrian and prevented them from seeing each other until the last moment. The driver testified that he was unable to see her until she suddenly darted out from his right side to cross the road and was struck by his vehicle. Another driver traveling behind him also failed to see her as she lay on the road, and struck her again in what was probably the fatal blow. Plaintiff responded to our motion by presenting an extensive affidavit by expert Daniel Lee detailing the many ways that, in his opinion, our client driver had been negligent in the operation of his vehicle, however eyewitnesses as well as the Oakland County Sheriff deputy who investigated the accident all opined that there was no way that the first driver had time to avoid the collision. Oakland County Circuit Judge Phyllis McMillen granted Roger and Beth’s motion for summary disposition, holding as a matter of law that the pedestrian plaintiff had been more than 50% at fault in causing this accident and her injuries. Guy Silvasi obtained summary disposition in Montcalm County Circuit Court in a uninsured/underinsured motorist claim brought against Encompass Indemnity Company. The Motion was argued before Judge Suzanne Hoseth Creeger by Guy Silvasi. Plaintiff claimed he sustained a serious impairment of body function following an accident in which a truck carrying a horse trailer struck Plaintiff’s motor vehicle at a high rate of speed. Plaintiff alleged injuries primarily to his neck and back. Defendants contested that Plaintiff did not sustain a serious impairment of body function, and that Plaintiff failed to present any objective evidence of injury as required under the first prong of McCormick v Carrier. The Court agreed, and granted our Motion for Summary Disposition dismissing the uninsured and underinsured motorists claims against Encompass with prejudice. Kaitlynn Milroy obtained a summary disposition in Washtenaw County Circuit Court in a declaratory judgment action that she filed on behalf of Progressive Michigan Insurance Company. Mr. Moore, a truck driver and Progressive’s insured, was involved in a motor vehicle accident within the course and scope of his employment. He sustained burns on a large portion of his body following the accident and his post-accident medical bills were in excess of $600,000.00. The declaratory judgment action was filed for the Court to determine: (1) Mr. Moore’s employment status at the time of the subject accident and (2) any and all potential benefits available to Mr. Moore, including both the order of priority for his PIP benefits and his potential for worker’s compensation benefits. The declaratory judgment action named Mr. Moore’s potential employers and their personal No-Fault insurers, along with Mr. Moore’s personal health insurer, as defendants in the suit. In addition, two of Mr. Moore’s treatment providers intervened in the action. Kaitlynn Milroy prepared a Motion for Summary Disposition, which was argued before Washtenaw Circuit Court Judge Carol Kuhnke by Chris Hildebrandt. In this Motion, we argued on behalf of Progressive that Mr. Moore was an employee of B&W, the trucking carrier, at the time of the subject accident and, thus, B&W’s No-Fault insurer Hudson Insurance Company was highest in the order of priority for the payment of Mr. Moore’s PIP benefits. This argument was based primarily upon the great amount of control that B&W has over its truck drivers pursuant to the “economic reality” test put forth in Parham v Preferred Risk Mut. Ins. Co. Hudson also filed a competing Motion for Summary Disposition, arguing that Mr. Moore was an independent contractor, rather than an employee of B&W, and that Progressive was highest in the order of priority accordingly. Judge Kuhnke ultimately denied Hudson’s Motion and granted Progressive’s Motion and in doing so, ruled that Mr. Moore was an employee of, B&W. Therefore, Hudson was deemed highest in priority for the payment of all of Mr. Moore’s past, present and future PIP benefits. Carol Masse, Personal Representative of the Estate of Deborah Klapp v Patsy Lou Chevrolet, Inc.
Lead trial attorney Adam Gordon along with Peter O’Toole and Ashley Slaght prevailed in a case by obtaining a no cause of action from a Genesee County jury after a lengthy trial. The matter arose out of a motor vehicle accident that occurred on December 21, 2011, in which Mark Alan Bono, while operating a 2012 Chevrolet Malibu, owned by Defendant Patsy Lou Chevrolet, Inc., struck a motor vehicle that was parked in the roadway and recently operated by Deborah Klapp. Unfortunately, as a result of this collision, Deborah Klapp passed away. Plaintiff Carol Masse, as personal representative, sought damages as to Defendant Patsy Lou Chevrolet, Inc., pursuant to the Michigan Civil Liability Act (MCL 257.401) as the owner of the 2012 Chevrolet Malibu. The case had numerous legal issues, factual issues and disputes relating to all aspects of the claim. The trial began on September 5, 2018, with the Estate requesting $15 million in damages. In closing argument, it was successfully argued that Mark Alan Bono, and by extension Defendant Patsy Lou Chevrolet, Inc., was not negligent on the date of loss. This result was achieved despite the fact that Mark Alan Bono was dismissed from the case after entering into a negotiated resolution with the decedent’s Estate prior to trial. Tina Battle and Brian Boehne obtained summary disposition, with prejudice, in the Wayne County Circuit Court, on Plaintiff’s claims for negligence and gross negligence for personal injuries allegedly sustained during a personal training session at Defendants’ fitness facility. The Motion for Summary Disposition argued that Plaintiff’s claims for negligence were barred by a Release of Liability signed by Plaintiff. The Court found that the language of the Release of Liability was prominently displayed and determined that the intention of Defendants to disclaim liability was clearly expressed. Further, the Court found that there was no genuine issue of material fact that Plaintiff had signed the Release of Liability and that it was fairly and knowingly made. With respect to the Plaintiff’s claims for gross negligence, the Court found that there was no genuine issue of material fact that Plaintiff failed to establish a cause of action for gross negligence in that Defendants did not engage in conduct so reckless as to demonstrate a substantial lack of concern for whether an injury resulted. Plaintiff alleged a claim for damages in excess of $300,000. On August 25, 2018, Tina Battle and her family participated in the Walk to End Alzheimer’s – Metro Detroit in memory of her mother who passed away from the disease. Tina raised over $5,200 for the Walk and was recognized as a Top Ten Fundraiser and a Grand Champion Fundraiser. Tina’s team from Sunrise of Troy was the #3 fundraising team for the Metro Detroit Walk. This year, Tina is the #2 fundraiser nationwide for Sunrise Senior Living. Tony Kostello has had a grant of summary judgment by the United States District Court affirmed in the 6th Circuit Court of Appeals. The minor Plaintiff was injured when his mother, who was carrying him, tripped and fell in the parking lot of the defendant’s health club. Judge David Lawson of the United States District Court – E.D. of Michigan granted summary judgment to the defendant on open and obvious grounds, holding that the mother could have seen and avoided the alleged defect in the defendant’s parking lot. Plaintiff appealed, arguing that the 3 year old child that was injured should not be subjected to the application of the open and obvious doctrine as he was too young to have perceived and avoided the alleged defect. The issue of whether a child could be subject to the open and obvious doctrine under these circumstances had come up in Michigan law on only one prior (albeit somewhat different) situation. That unpublished case involved a child who was injured while being pushed in a shopping cart by his father. The 6th Circuit agreed that the relevant inquiry was whether or not the mother was able to perceive and avoid the danger and therefore affirmed Judge Lawson’s granting of summary judgment. Sajid Islam obtained a partial dismissal with prejudice of Plaintiff’s claim for attendant care benefits. Plaintiff alleged that he was receiving attendant care services from four care providers. To evaluate Plaintiff’s claim, Mr. Islam obtained an Order compelling Plaintiff to produce attendant care documents and more specific responses to his client’s Interrogatories regarding each of the care providers. After Plaintiff failed to comply with the Court’s Order, Mr. Islam filed a Motion to Dismiss Plaintiff’s Claim for Attendant Care Benefits arguing that Plaintiff failed to comply with the Court’s Order and that no attendant care documents or information had been provided with regard to the alleged care providers. In response to the Motion to Dismiss, Plaintiff produced documents and discovery responses as to one of the care providers. After hearing oral arguments on the Motion to Dismiss, the Court granted Plaintiff one additional week to produce documents and discovery responses relating to the remaining three alleged providers. The Court further held that if said documents and responses were not provided within one week, Plaintiff’s claim as to the remaining alleged providers would be dismissed with prejudice. After Plaintiff failed to produce documents and discovery responses, the Court dismissed Plaintiff’s attendant care claim as to the remaining three alleged providers with prejudice. Associate attorney Kaitlynn Milroy successfully obtained a summary disposition in Michigan’s 19th District Court. In representing a no-fault insurer, Kaitlynn filed and argued a Motion for Summary Disposition based on the argument that the Plaintiff medical provider was not entitled to recover additional No-Fault benefits from our client, Progressive Michigan Insurance Company, pursuant to the One-Year-Back Rule of MCL 500.3145(1) contained within the Michigan No-Fault Act. The Court agreed with her argument that Plaintiff’s filing of suit was untimely and granted her Motion for Summary Disposition, which ultimately dismissed all of Plaintiff provider’s claims with prejudice. Sarah Gordon and Tina Battle obtained a dismissal, with prejudice, on behalf of their clients, Citizens Insurance Company of America and Citizens Insurance Company of the Midwest, on a cause of action for uninsured/underinsured motorist benefits under a personal auto policy and uninsured/underinsured motorist benefits under a separate umbrella policy in a wrongful death action pending in the Wayne County Circuit Court. The cause of action arose out of a motor vehicle vs. motorcycle accident in which the owner and operator of the motorcycle died when struck by the defendant driver who turned left in front of the motorcycle. The potential exposure to their clients was 1.5 million dollars. Ms. Gordon and Ms. Battle filed a Motion for Summary Disposition arguing that uninsured/underinsured motorist benefits were excluded under the personal auto policy because coverage was not provided to an insured who was occupying a motor vehicle owned by that insured which was not insured for coverage under the personal auto policy. The term motor vehicle was not defined within the UM/UIM portion of the policy and accordingly Defense counsel argued that the dictionary or common meaning of the term applied which included a motorcycle. Plaintiff’s counsel argued that the policy was ambiguous because it contained definitions of a motor vehicle which excluded motorcycles in other portions of the policy, specifically in the Accidental Death portion of the Policy and the Personal Injury Protection portion of the Policy. The Honorable Annette J. Berry agreed with the argument that the policy was not ambiguous and when given its commonly used meaning, the term motor vehicle included a motorcycle. Accordingly, UIM benefits were excluded. Ms. Gordon and Ms. Battle also successfully argued that the umbrella policy excluded any claim for uninsured/underinsured motorist benefits unless a special endorsement was added to the policy. Sajid Islam obtained a favorable result arguing against a plaintiff’s motion for preliminary injunction in a property dispute involving lot owners in a neighborhood. With respect to a park, waterfront and lake located within the neighborhood, the plaintiff was seeking a preliminary injunction to prevent defendants from erecting docks, mooring devices, or other semi-permanent or permanent structures; maintaining picnic tables; hosting large gatherings, parties, or bonfires; or driving or parking motor vehicles, golf carts or ATVs. Sajid and Co-Counsel argued that the plaintiff had not demonstrated any ownership of the park or any riparian rights with respect to the waterfront and lake. In addition, Sajid and Co-Counsel argued that the plaintiff had not demonstrated a likelihood to prevail on the merits or that the plaintiff would suffer irreparable harm without the entry of a preliminary injunction. It was also argued that the harm to the public interest was great because the plat dedication expressly stated that all lot owners could use the parks and canals in the neighborhood and the relief being requested by the plaintiff was contrary to that express intent. After extensive arguments, the court stated that it would not grant the plaintiff’s motion. However, in order to maintain the status quo until a final decision on the merits, the court entered an order preventing loud music or fireworks on the park area, and preventing the use of golf carts and ATVs on the park area in such a way as would disturb the peace. Sajid Islam obtained a dismissal with prejudice of Allstate Insurance Company in a lawsuit for First-Party No-Fault benefits. Sajid filed a Motion for Summary Disposition and a Supplemental Brief in Support of the Motion arguing that the plaintiff was not entitled to First-Party benefits from Allstate because she was not domiciled in the same household as her mother, the Allstate named insured, on the date of the accident at issue. Prior to the filing, Sajid obtained deposition testimony and admissions from the plaintiff and her mother indicating that the plaintiff did not reside with her mother or intend to live with her mother on the date of the accident. In addition, Sajid obtained testimony and admissions that the plaintiff did not have a bedroom or belongings at her mother’s home, and that the plaintiff was not financially dependent on her mother on the date of the accident. The plaintiff and opposing insurance company stipulated to the dismissal of Allstate with prejudice prior to the hearing on the Motion for Summary Disposition. Adam Gordon and Samantha Boyd obtained a dismissal of Plaintiff’s negligence claims against Defendant in the Jackson County Circuit Court. Plaintiff claimed that she was injured in a public restroom where the lid of the toilet paper dispenser fell open and struck her head and alleged that Defendant, a commercial janitorial service provider, was negligent as a result. The Motion for Summary Disposition sought to dismiss Plaintiff’s claims on the basis that Defendant’s employees had not been on site for approximately 15 hours prior to Plaintiff’s alleged injury and accordingly Defendant owed no duty to Plaintiff. Further, counsel used Plaintiff’s own deposition testimony to indicate that Plaintiff could not say how the condition was caused, how long it had been present, or who knew of the condition. Ultimately, Hon. Richard LaFlamme granted the Motion for Summary Disposition and dismissed Plaintiff’s claims against Defendant with prejudice. Meghan Mair v Bristol West, et. al. Adam Gordon and Ashley Slaght successfully obtained a summary disposition in Oakland County Circuit Court on a first-party No Fault benefits claim filed by Plaintiff. The Motion for Summary Disposition sought to dismiss Plaintiff’s claim for first-party No Fault benefits on the basis that Plaintiff, the sole owner of the subject motor vehicle, failed to maintain the requisite security as required by MCL 500.3101. As such, pursuant to MCL 500.3113(b), Plaintiff was precluded from recovering benefits. During oral argument on the Motion for Summary Disposition, Ashley Slaght highlighted the Michigan Court of Appeal’s opinion in Barnes v Farmers Ins Exchange, 308 Mich App (2014), and successfully distinguished those unpublished opinions cited by Plaintiff. Ultimately, the Hon. Shalina Kumar granted the Motion for Summary Disposition and dismissed Plaintiff’s claims against Bristol West with prejudice. Massachusetts Bay Insurance Company v Frankenmuth Insurance Co., et. al. Roger Smith and Ashley Slaght successfully obtained a voluntary dismissal of a Property Protection Insurance (PPI) Benefits suit filed by Plaintiff. Plaintiff filed suit claiming entitlement to damages arising out of a motor vehicle accident involving a road grinder insured by Plaintiff. Ashley Slaght prepared the Motion for Summary Disposition, which sought to dismiss Plaintiff’s claims on the basis that the road grinder in question met the definition of a vehicle and benefits were properly excluded under MCL 500.3123(1)(a). Ultimately, upon reviewing the Motion for Summary Disposition, Plaintiff acquiesced and agreed to dismiss its claims against Defendant. Communicare Michigan, LLC v. Citizens Insurance Company. Sarah L. Gordon recently mediated a large provider claim involving a semi-independent day program in which the provider was claiming entitlement to over $380,000 in damages, and the patient claimed over $70,000 in agency-provided attendant care and additional medical expenses. In order to better negotiate this claim, three Motions for Summary Disposition were filed setting forth various arguments that the day program facility was operating as an unlicensed adult foster care facility, that the facility lacked standing to bring suit, and that the medical expenses and attendant care were unreasonable and not medically necessary. Ultimately, Sarah and Andrew were able to negotiate a very reasonable resolution to the past and present damages, and also negotiate a future agreement which will result in a savings to their client of well over $1,000,000. 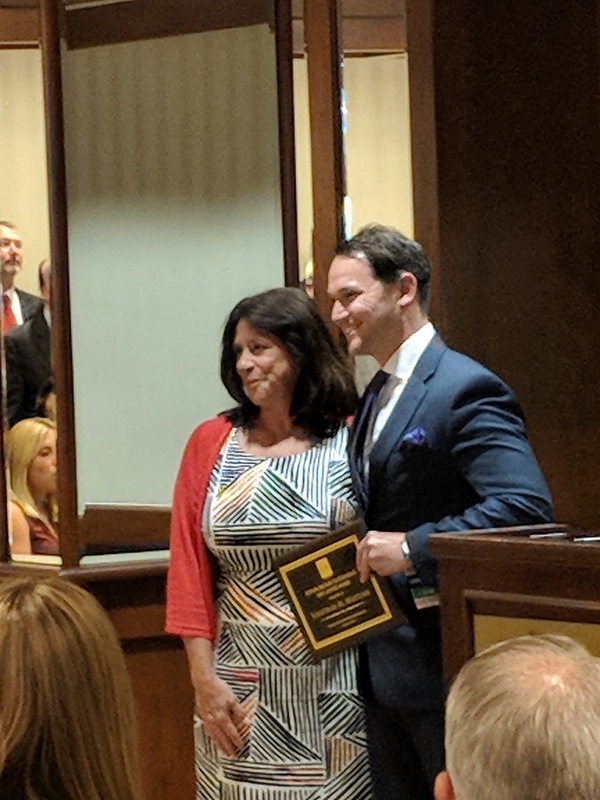 At the 84th Annual Oakland County Bar Association Meeting on June 4, 2018, attorney Deb Bricely received the Frances R. Avandenka Memorial Award for outstanding community service and volunteerism. In addition to being an attorney with our law firm, Deb is also a registered nurse. In 2017, as part of the National Disaster Medical Assistance Team, Deb spent two weeks providing medical assistance in field hospitals in Houston following Hurricane Harvey and several weeks in Puerto Rico working in a damaged hospital and MASH like field hospital providing medical care to those injured as a result of Hurricane Maria. We are extremely proud of the commitment to humanity demonstrated by one of our own. We congratulate her on an award well deserved. Samantha Boyd and Anthony McEachern represented Allstate Insurance Company on a First-Party provider suit, in a lawsuit pending in 67th District Court, Flint, MI. Plaintiff’s claims against Allstate purportedly arose from an alleged assignment that it obtained after filing the Complaint, and not from the services Plaintiff provided to Ms. Leinaar as alleged in the original Complaint. In addition, the Assignment at issue clearly stated that it was for medical benefits and could not be read to assign the right to payment in direct violation of MCL 500.3143. The purported assignment indicated that it was executed by Ms. Leinaar on July 7, 2015. Ms. Leinaar was provided with treatment by the Plaintiff on December 4, 2015 and March 18, 2016. As such, the Assignment was executed before the services were rendered making it invalid due to its incorporation of future dates of services. A Motion for Summary Disposition was filed under Covenant which the District Court Judge denied. Allstate filed an Application for Leave to Appeal, which Circuit Court Judge Joseph Farah of Genesee County Circuit Court reviewed. Samantha Boyd’s exceptionally well-written Appeal paved the way for Circuit Court Judge Joseph Farah of Genesee County Circuit Court to reverse the Trial Court’s denial of Allstate’s Motion in lieu of granting leave to appeal. Judge Farah held that, “Insight has no enforceable claim against Allstate except stated as below.” Judge Farah went on to state “however Insight may maintain a cause of action if it has received an Enforcement Assignment from its patient Sally Leinaar.” He then remanded the case back to Judge Marabele in 67th District Court, Flint, Michigan to determine whether the assignment from Ms. Leinaar to Insight was a valid assignment. Peter O’Toole and Samantha Boyd obtained a no cause of action in a jury trial seeking automobile negligence damages. The trial was conducted at the Genesee County Circuit Court before Judge David J. Newblatt. This case arose out of a pedestrian versus motor vehicle accident that occurred on January 5, 2016, in Flint, Michigan. As a result of being struck by Defendant’s vehicle Plaintiff alleged to have sustained several injuries that were present since day of the accident. Plaintiff alleged that he sustained a permanent disfigurement to his lip and face due to cuts that resulted from being thrown to the ground. Additionally, Plaintiff claimed to have sustained in a closed head injury that resulted in memory loss and headaches in addition to injuries to his shoulder, knee, and lower back. During the course of the trial we were able to demonstrate that Plaintiff’s medical treatment and testimony from his own physicians failed to show that Plaintiff complained of the numerous injuries. During the cross-examination of the Plaintiff we were able to obtain testimony that showed Plaintiff had continued living his life as he was prior to the accident. A thorough examination of Plaintiff’s ability to continue in school and obtain several occupations following the accident demonstrated that Plaintiff was not entitled to damages. The trial lasted for three days and on May 23, 2018, the jury returned a verdict of no cause of action after a very short deliberation finding that Plaintiff did not sustain a serious impairment of an important body function or have a serious permanent disfigurement. Tim Connaughton and Matt Chapin successfully defended a wrongful death case by obtaining a summary disposition from Judge Daniel J. Kelley in St. Clair County Circuit Court. We represented the President of the Zeta Tau Chapter of Theta Chi at the University of Michigan-Flint. The case arose out of a social outing at the Port Huron Float Down, in which some members and non-members of the fraternity attended. An attendee within the group, who was a minor, became intoxicated and unfortunately drowned. The Estate brought suit against our client, the national and local chapter of the fraternity, and another individual member. Plaintiff was seeking $7,000,000 in damages. Plaintiff alleged that as the President of Zeta Tau our client owed a duty of care to the decedent to not allow the furnishing of alcohol to a minor and had an obligation to uphold the fraternity’s policies and procedures regarding the furnishing of alcohol to minors. Through discovery and extensive research we were able to establish that our client did not owe a duty of care because the Port Huron Float Down was not a sanctioned fraternity event, there was no evidence our client furnished alcohol to the decedent and there was no evidence that he allowed the furnishing of alcohol to the decedent. Furthermore, we were able to establish that our client had no involvement in the planning of the event. The judge agreed that our client did not owe a duty of care to the decedent and granted our Motion for Summary Disposition. Tony McEachern and Samantha Boyd represented Third-Party Defendant, The Lange Agency, an Allstate Insurance Agency in a lawsuit pending in Genesee County. The Third-Party Plaintiff claimed that our client was negligent in failing to provide coverage for a vehicle that was involved in a motor vehicle accident. The Third-Party Plaintiff claimed that she had the vehicle taken out of storage and had instructed The Lange Agency to have the vehicle covered under a policy she alleged was still active. In discovery, we were able to proof that the Third-Party Plaintiff had placed the car in storage and never had it covered again under an Allstate policy. We obtained email communications, phone records, information on how customer communications were stored, as well as Affidavits from the agency employees that dealt with the Third-Party Plaintiff confirming she never had the car taken out of storage and in fact admitted in an email she was driving it without insurance. Samantha Boyd prepared a Motion for Summary Disposition which was argued before Judge Judith Fullerton by Tony McEachern. At the motion hearing, Tony also argued that Plaintiff had violated the Michigan Court Rules by failing to file a proper Response in Opposition along with supportive affidavits under MCR 2.116 and 2.119. Judge Fullerton granted our Motion for Summary Disposition dismissing the claim against our client with prejudice. Metro Hospital v Premier Caulking, Inc.
Bill Kiriazis and Adam Gordon successfully defended a $10 million construction lawsuit by obtaining a summary disposition from Judge Christopher P. Yates in Kent County Circuit Court. Our client, Premier Caulking, Inc., completed certain construction work on the hospital construction project in 2008 which included interior and exterior window caulking. According to Plaintiff’s Complaint, subsequent to completion of the construction project, the windows began to leak causing substantial damage to the building itself as well as contents within the building. Suit was filed by Metro Hospital in March 2017 against Premier Caulking, Inc. and four other parties. Plaintiff alleged gross negligence, breach of implied warranty, fraudulent misrepresentation, breach of third party beneficiary, silent fraud and fraudulent concealment and civil conspiracy. On April 6, 2018, in a lengthy and well-reasoned Opinion and Order, Judge Yates granted summary disposition as to four of the five Defendants including Premier Caulking, Inc., on the basis that the claims were time-barred by the applicable statutes of limitation for each claim and the Statute of Repose, MCL 600.5839. 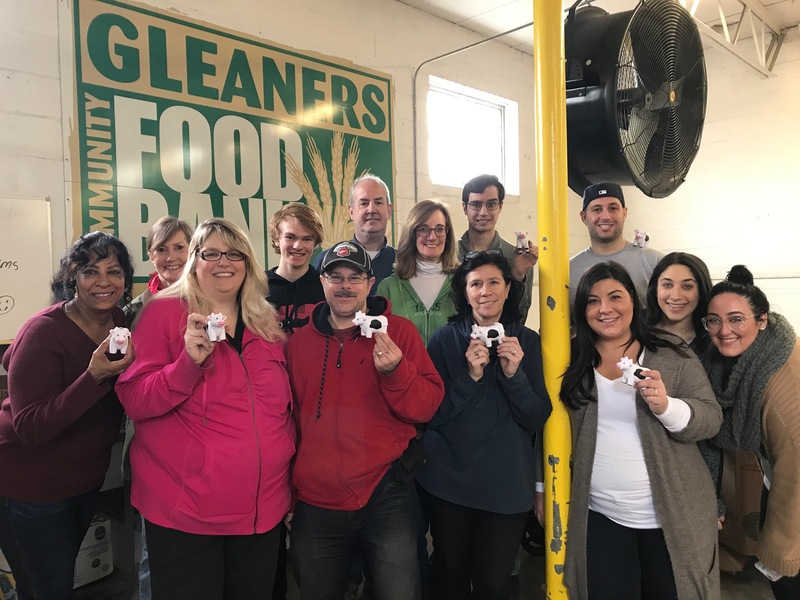 On Saturday, April 7, 2018, a group of Vandeveer Garzia employees and their family and friends volunteered for the afternoon at Gleaners Community Food Bank/Pontiac Distribution Center in Pontiac, Michigan. The group sorted 9,000 pounds of donated food and personal care items, including: canned goods, dry goods, beverages, snacks, pet care/food, clothing, and personal hygiene products. In addition to sorting the food and other items, each item had to be inspected to make sure the packaging was still sealed. The expiration date on each item was also checked to make sure that the product had not expired. These items will be distributed to various food pantries and will benefit over 7,200 individuals in the community. Adam Gordon and Ashley Slaght prevail in defending a civil complaint alleging assault and battery. Adam Gordon and Ashley Slaght obtained a summary disposition on a wrongful death claim in Kent County Circuit Court in a claim alleging an assault and battery by our client. In addition to a summary disposition, they were successful in obtaining sanctions against the Plaintiff’s estate and its counsel. The case arose out of a social outing between co-workers at Muskegon Lake. While boating, one of the co-workers drowned while attempting to swim back to the boat. Plaintiff’s decedent was a member of the Nation of Islam and his death was immediately investigated by representatives of the Nation. It was argued that representatives of the Nation of Islam tried to direct the official investigation in such a manner as to cast blame on decedent’s co-workers. Despite the fact that two independent forensic examiners determined that the decedent had died from an accidental drowning, the estate hired experts to opine that the injuries suffered by the decedent were caused by a blunt force impact by one, some, or all of the co-workers working in concert. Plaintiff’s estate then brought claims against the seven co-workers alleging assault and battery and wanton and willful misconduct. During more than a year of extensive discovery, more than 40 depositions were taken and more than 100 motions were filed by the various parties. Chris Hildebrandt assisted in writing the motion for summary disposition which was argued before Judge Joseph Rossi by Adam Gordon. Judge Rossi granted the motion dismissing all claims by plaintiff against all of the defendants. We also filed a motion for sanctions arguing that the Plaintiff estate had not filed the claim in good faith. Judge Rossi granted the motion and awarded sanctions against the Plaintiff estate and its attorneys in the amount of $379,693. Fritz v Millennia Housing Management, Ltd.
Sarah Gordon recently filed a Motion for Summary Disposition on a case in which Plaintiff was claiming entitlement to first-party No Fault benefits and uninsured motorist benefits. The Motion for Summary Disposition sought to dismiss Plaintiff’s claim for first-party benefits because the defendant insurer was not in order of priority pursuant to MCL 500.3114. Further, it was requested that the uninsured motorist claim be dismissed on the basis that the plaintiff was not an insured based on the terms and definitions as set forth in the uninsured motorist policy, and therefore, coverage did not extend to the subject loss. Ultimately, upon reviewing the Motion for Summary Disposition, plaintiff acquiesced and agreed to dismiss his claims as to our defendant in their entirety. Armin Halilovic and Matt Chapin successfully obtained a Partial Summary Disposition in Wayne County Circuit Court. In representing a no-fault insurer in a consolidated action, they filed and argued a Motion for Partial Summary Disposition relative to Plaintiffs’ claims for attendant care and replacement services. Based on testimony stating there was no expectation of payment, and arguing there was a lack of reasonable proof, the court granted the Motion for Partial Summary Disposition. In winning this Motion, Armin and Matt were able to minimize potential liability.